We integrate industry-leading laser sources from companies Synrad and Coherent which have a long lifetime of the laser tubes up to 40000h. They are suitable for integration into the workstations and robotic systems. The most suitable applications for these sources are cutting, marking and engraving of non metalic materials. We cover the broadest portfolio of sealed off CO and CO2 laser on the market. 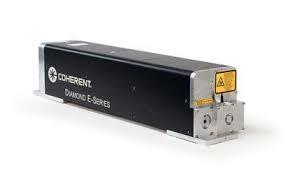 Our lasers are available in a wide range of models and outputs from 10W to 1000W. The uniqueness of our lasers is their highly reliable, robust and maintenance-free design and we also offer the best balance of price, power and agility.